SARASOTA, Florida — Thousands of professional progressive protesters are plotting to disrupt a town hall event for Rep. Vern Buchanan (R-FL) here on Saturday morning, Breitbart News has learned, as part of a grander effort to grind down President Donald Trump and his America First agenda on the national stage. Anti-Trump progressive organizers in the area are flooding social media with messages detailing their plans for disruption and even expressing the hope that President Trump dies soon. They openly state their goal is to halt the mandate the president has from his landslide electoral college win on Nov. 8, when he crushed Democrat Hillary Rodham Clinton by winning 30-and-a-half states — cruising to a 306 vote electoral college victory. The vitriolic nature of the progressive left’s desperate anti-Trump streak shines through in organizing messages in local Facebook posts, including one in which progressive activists say their “favorite” interaction with someone recently was a man who rolled down the window of his car while they were protesting and said he wished that President Trump was dead. In other words, one of the “favorite” comments these progressive organizers heard all week was a man wishing that President Trump was dead and “goes to heaven very soon.” The original Facebook posting has since been removed and reposted with slightly different wording, where instead of the original description of that exchange with the man who wished President Trump was dead as the progressive organizer and post author’s “favorite” of the week, it was altered to say the exchange with that man was the “most notable oddity” of the week. Breitbart News has screenshots of the original, however, and is providing both the original post and the revised one here. Both the original and revised postings also included details about the left-wing activists’ efforts to storm Buchanan’s town hall on Saturday, noting that a Buchanan staffer “received us kindly as always” when asked for details about the congressman’s upcoming town hall event. More than 4,000 people have RSVP’d for Buchanan’s Sarasota town hall on Saturday morning, Buchanan’s office and local Republicans tell Breitbart News, and they are expecting an onslaught of progressives who are not representative of the district’s electorate as a whole to attempt to dominate the discussion. If the RSVP numbers hold firm—or even come close to matching that whopping total—this town hall will be the biggest nationwide as of yet in a series of recent unruly town halls Republican members of Congress have faced since President Trump’s inauguration, and it has the potential to set the tone for whether the president will succeed in legislatively achieving his agenda moving forward. Several deep ties between Sarasota’s political story and Trump’s national rise make this one of the most interesting events early in Trump’s administration. This particular congressman, Buchanan, has a personal story that’s eerily similar to President Trump’s rise to power: both were highly successful businessmen before running for office. What’s more, this district in many ways serves as a bellwether not just for Florida but perhaps for the nation as a whole. To top it off, the venue for the town hall—the Van Wezel Performing Arts Hall here in Sarasota—is hallowed ground for President Trump. Just weeks before Trump announced his presidential campaign, the Sarasota GOP awarded him its annual Statesman of the Year award in May 2015 in front of a sold-out crowd in the same hall. That award was bestowed upon Trump by Sarasota-area GOP powerbroker Joe Gruters, now a Florida statehouse representative. Gruters was vice chairman of the Florida GOP, and joined the Trump campaign early as a senior official. That made him the highest ranking Republican Party official in the state to back any candidate in the GOP primaries, drawing ire from allies of Trump opponents and state power players Sen. Marco Rubio (R-FL) and former Gov. Jeb Bush. They know how to negotiate. They sit around a table and want to accomplish stuff. They really don’t understand why there’s gridlock in Washington—it makes no sense to them, because they’re used to their businesses, being the CEO and just executing. That’s why they’ve been successful, they’ve both made a lot of money, they’ve hired a lot of people—both of them—and they know how to manage, they know how to pick good executives, which is really important in government especially being president because he’s got to pick all the agency heads and all that stuff. They really know how to negotiate, that’s really all Washington is—one big negotiation on Capitol Hill—so I think that’s a big strength both of them share. And I think they’re both frustrated that nothing can get done in Washington and we’re not looking after the consumer, the voter. So I think they kind of both share that too. I think it’s interesting because I’ve gotten to know Vern and the governor, Rick Scott—we have a governor too, which is great, that’s what we need. We need more business guys to get in. Actually, I’ve never thought of it—our congressman, our governor and our president are all successful business people. At least for Sarasota County, we can claim all our people here are not career politicians and all three of them, their first political office is what they’re in now. Sarasota offers national politicians, especially Republicans, access to a network of centrally located donors with deep pockets. But it also has the potential for big crowds, as Trump saw in his many trips to the area during the primaries and general election. When they come out to protest the school board, they have all these printed signs and all these groups that are bussing people in. But I think the same thing is happening with Trump. You look at all these different organizations. There’s people from outside the district—people from downtown Tampa that have no connection to our district, that are organizing all these counter protests around the state. They’re doing a fairly good job for their cause, but it’s definitely an organized, paid, apparatus if you will and effort. So I think we’ll see that tomorrow as well. For now, it does not appear the left is making headway — at least not here in Sarasota or specifically with Buchanan. 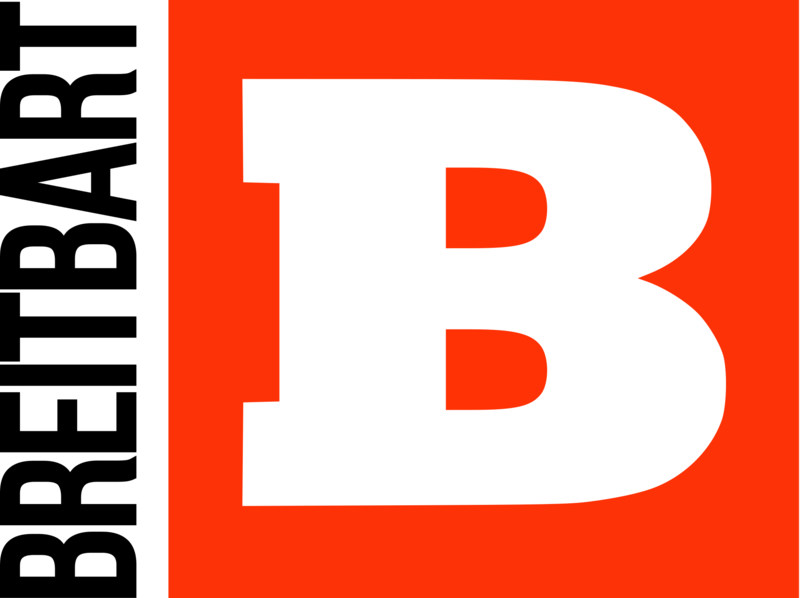 In a statement, Buchanan told Breitbart News he plans to work with President Trump to accomplish the things both of them campaigned on. What the leftists plan to do here on Saturday is very clearly stated in literature progressive organizers have been distributing on social media: Grind down President Trump in any way possible, by any means necessary. They want to force Buchanan to take positions and answer questions he may not want to, and put him in a tough spot by pitting him against the president. The overall strategy at these Town Hall meetings is to use them as a media opportunity for our side. So the goal is to ask questions, and elicit responses from Congressman Buchanan, that will push him to take stances closer to what we would prefer, to demonstrate how Buchanan is ‘out of touch’ with his district when he stands with Trump’s agenda, and to show how Republican policies are hurting everyday Americans. Although things like the AHCA can potentially hurt millions, statistics can be hard to comprehend and sometimes make people’s eyes glaze over. But stories of individuals really bring things home and dramatize issues in powerful ways. So the most effective thing you can do is tailor any of the following questions with a short personal story about how proposed or enacted legislation negatively affects yourself, family, or friends. But don’t force it, either — a simple, straightforward question that is easy to understand is absolutely terrific, too. The document then proceeds to detail a number of suggested questions designed to put Buchanan on the defensive, and to pit him against the Trump administration. They range from inquiries on matters like the House GOP Obamacare replacement plan, to the Russia hacking story, to Trump’s taxes, to the border wall, to the president’s recent executive orders on immigration suspending travel from a variety of countries, and more. The five-page document literally writes out the wording of dozens of suggested questions for those who would attend Buchanan’s town hall, and links to the national organization “Indivisible” which is helping organize the efforts to resist Trump’s mandate and agenda across the country. He [Trump] made a big statement and it’s not only [Sarasota County], it’s Florida as a whole. If you put yourself in the Democrats’ shoes, right, for the whole election they were told that Hillary is winning and this is her election to lose, right? There’s no way she’s losing it. Really, I think Democrats were really complacent and they just expected victory. What happened was was on election night you had Donald Trump and just like Florida that we’re in now right, he won these states that he wasn’t supposed to win and that he wasn’t expected to win and there’s no chance. The media said that, the left said that to their own allies. If you’re a Democrat, on election day you’re looking at the map and you see Florida, Pennsylvania, Wisconsin, Michigan and you’re like ‘oh crap, what just happened to us?’ Now they’re fighting for relevance. So it’s almost like their last stand when you look at the Democratic Party. And they lose that historic election that they were expected to win, and I think now they’re scrambling. When you’re desperate, you scramble and you try every tactic you can and it energizes you. You throw Hail Mary’s, but it’s too bad so sad it’s a couple months late. But that’s what you’re seeing now. All that activity is being fueled by them being totally desperate and paranoid and freaking out that they could lose their relevance altogether. Ziegler and other local Republicans are doing everything they can to get Trump voters to show up and back up the president and their GOP congressman — even running ads on social media promoting the town hall and blasting out invitations to email lists of Trump backers. And Trump’s silent majority army may just show up to support the president’s agenda in the face of the left — or they might not, as they have been active in other recent events, and Ziegler notes that the voters from the party that just won the election tend not to be as concerned as those who lost. But here in Sarasota on Saturday morning, it appears the first major outside-the-beltway battle over the Trump agenda will play itself out. If the right holds the line, and rallies around the president, the left may become further disillusioned. But if the left draws blood, expect more of this nationwide.